Stone arrangements related to aboriginal astronomy? 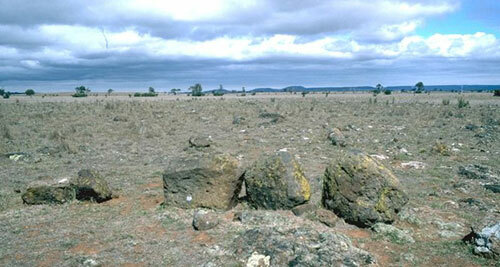 Stone arrangements in Victoria, Australia, such as a detail of the Wurdi Youang above (photo by Clive Ruggles) are possibly related to the extensive system of Australian Aboriginal astronomy. More info: Astronomy of the Boorong paper, and the book Dark Sparklers.